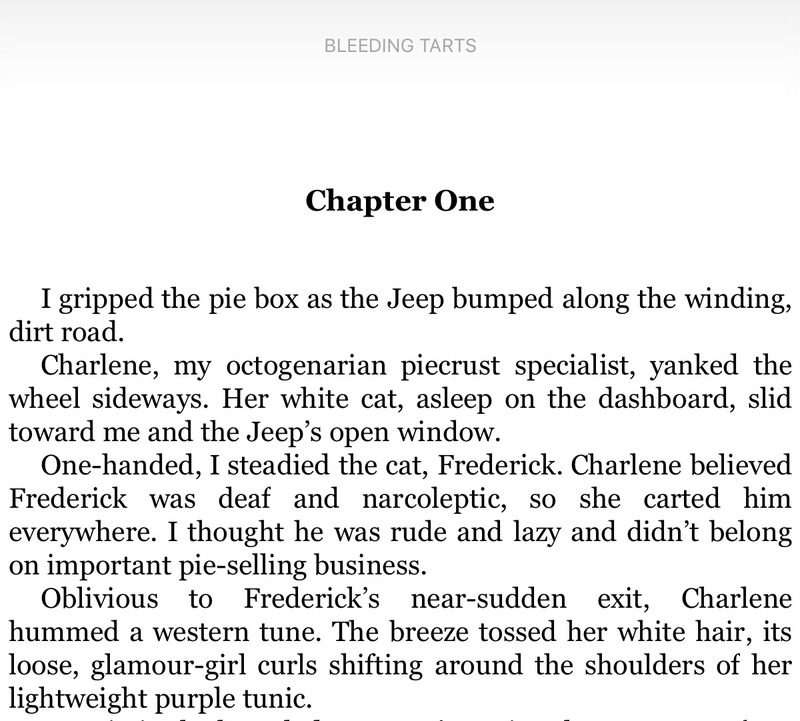 It always seems like I'm always drawn to the feisty older ladies in the cozies I read, so one with a 75 year old bookmobile-driving protagonist is a real treat. Cleo Watkins is busy drumming up support to save her beloved storm-damaged library when she delivers a stack of true crime books to the eccentric Buford Krandall. She questions why he's reading so much about how to commit murder and unsolved mysteries in their area, and then Buford becomes a murder victim himself! 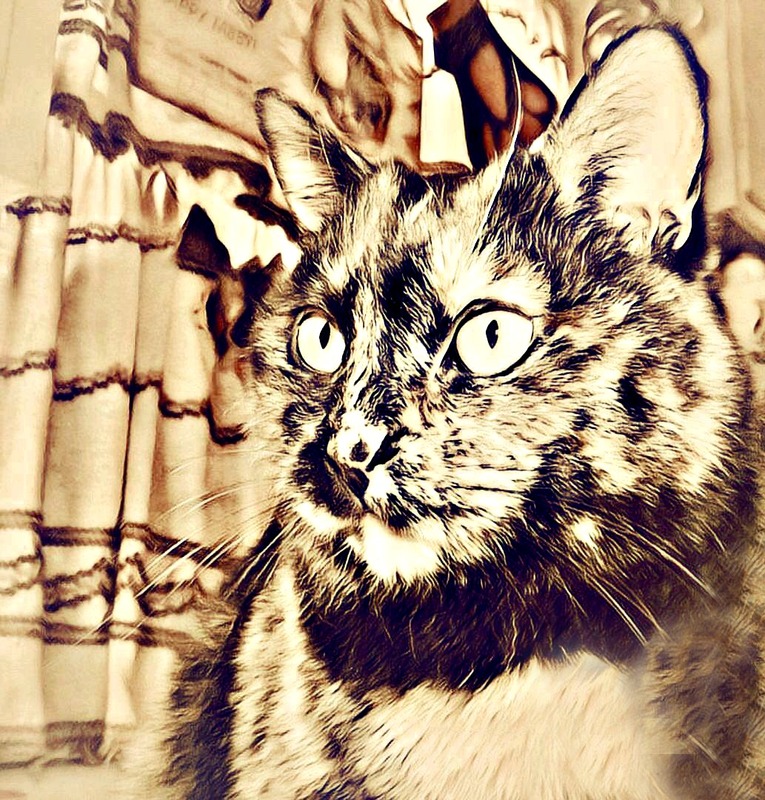 Cleo's best friend Mary-Jane, owner of a pancakes and pie shop, is the main suspect since she had been feuding with Buford over his contaminating the fresh spring water that runs between their properties. There's no shortage of suspects however, and Cleo aims to use her book smarts and southern charm to catch a killer. I enjoyed this book, although it did take me some time to get into the story and connect with its characters. 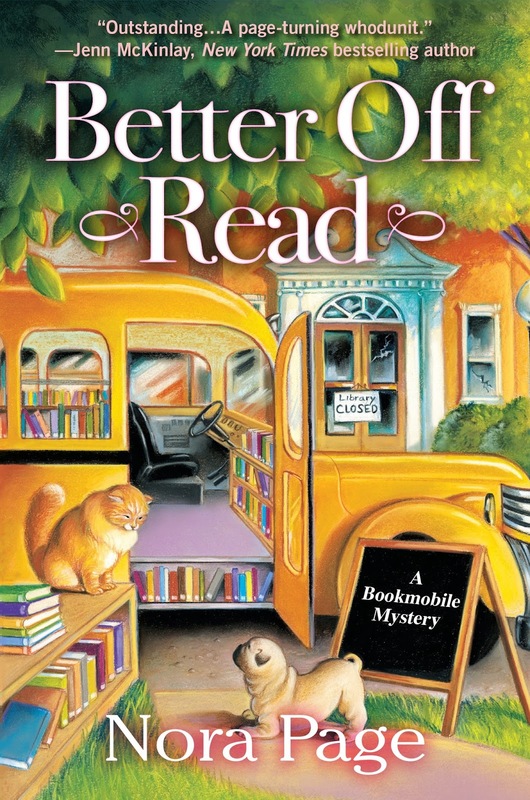 Two of my favorites were the bank manager's crotchety mother (the scene where she takes the bookmobile for a joy ride is hysterical), and true crime author Priscilla Pawpaw whose books seem to be the catalyst for the murder. The star of the show though is Cleo's beloved orange Persian, Rhett Butler. Poor Rhett isn't looking his best when we first meet him, having recently tangled with burdock necessitating a shave from Cleo's hairdresser. It didn't go well. 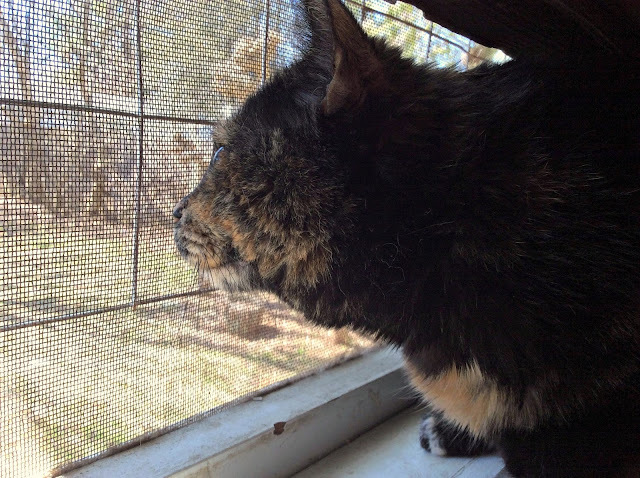 In spite of questioning looks from the people around him he is Cleo's constant companion on the bookmobile and off. He even manages to save the day (with the help from a few of his friends) when she's confronted by the killer! Today I took an unusable, blurry picture, applied a Photo Lab filter, and ended up with art that looks like I'm glamming it up with my fur blowing in the breeze! I think I should be riding shotgun in a convertible, don't you? 2. Any charity that benefits cats is a charity that I like to support. 3. One time, I broke my mom's Rhett Butler statue, and I saw my life flash before my eyes. She collects GWTW memorabilia, and this particular piece from Avon was impossible to find but a friend who works for Avon was able to get one for her. I was a kid, and she told me not to touch it. I did, it tipped over, and his hat broke off. That's the angriest she's ever been with me, and she still reminds me about it every now and then. 4. I wish that I had pursued a career as a vet tech, when I was younger. Growing up there was always country music playing in my home. From The Nashville Network (TNN) to Hee Haw to the Grand Ole Opry, I loved it all even though it wasn't "cool" among my peers, and it's still the music I listen to today. Not 21st century country - the junk coming out of Nashville now makes me cringe - my favorite is classic country music mainly from the '60s through the '80s. I was incredibly lucky that my parents took me to tons of concerts, and thanks to my friendship with a local DJ I even got to go backstage to meet several of them! Alabama, Clint Black, Ricky Van Shelton, Lorrie Morgan, Loretta Lynn, George Jones, Merle Haggard, Vince Gill, Toby Keith...I could go on and on. My all-time favorite has always been Conway Twitty, and in the spring of 1993 it was announced that he would be performing at the Vermont State Fair in September on the weekend of my 16th birthday. Needless to say, tickets were purchased immediately, but on June 5th he tragically and suddenly passed away. Tammy Wynette was announced as his replacement at the fair, and I adored her too, but my heart was still broken that I'd never get to see Conway in concert. It's hard to believe that was 25 years ago. 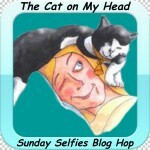 So what does this have to do with a cat blog? Our friends at Stunning Keisha challenged us to another "getting to know you" meme with a musical twist...answer the questions provided using only song titles from one artist or band. It's tough, especially when you have your heart set on using your favorite singer! 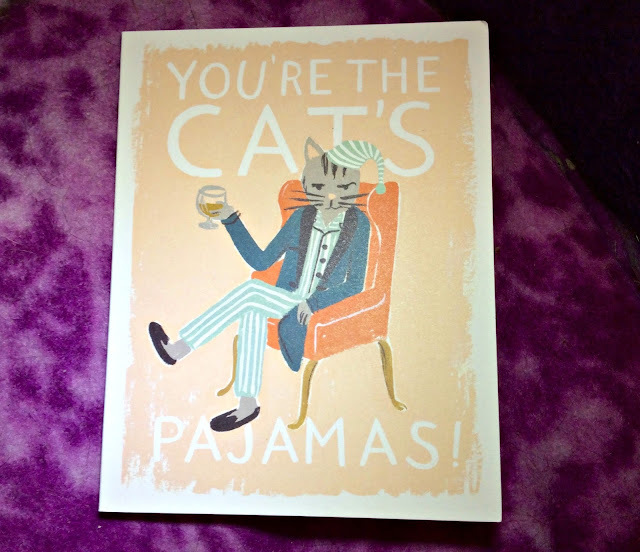 I knew Mudpie was up to the task though, and I think she ended up doing a pawsome job interpreting the prompts...she even picked some of my favorites! Who else is ready to give this challenge a shot? We'd love to hear what you come up with! Mommy: C'mere, sweet pea...we got a card in the mail! Mudpie: Who's it from, Mommy? Mommy: It's from a bunch of our friends at the BlogPaws conference last week. They wanted to let us know they were thinking about us. Mudpie: That was so nice of them! I know how much you wanted to go. Mommy: I did, but your grandma and grandpa need us to be close to home. Mudpie: We really do need to get to a conference one of these days though, Mommy. I need one of those pawsome swag bags, and you know how much our friends want to meet me! Mommy: I'm sure they do, just like we want to meet them. But before that ever happens, don't you think we might need to work on your manners just a bit? 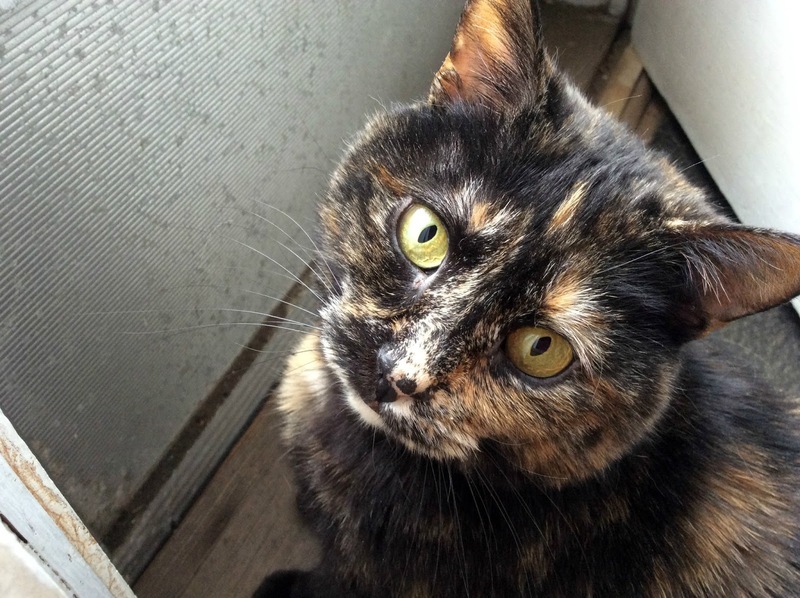 You love people but you aren't exactly known for being that cordial around other kitties. 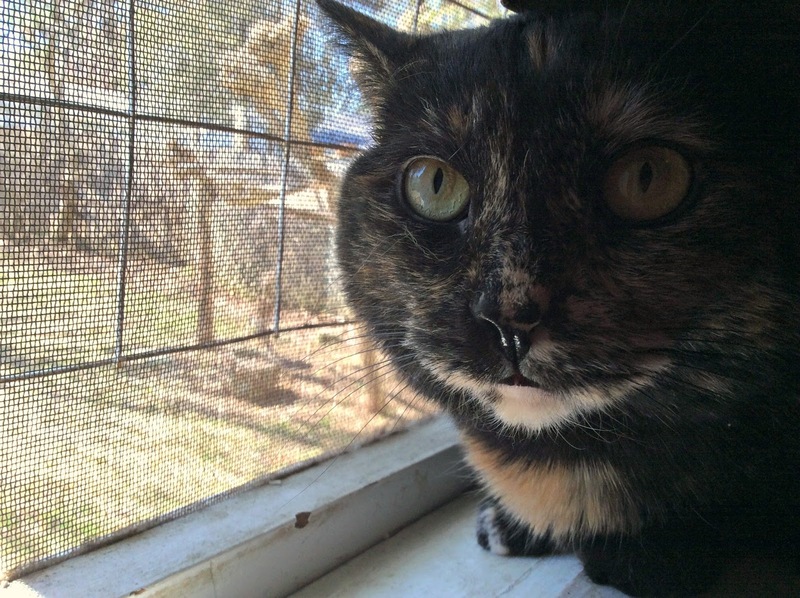 Wouldn't it be embarrassing if you ended up hissing at Summer, Cupcake or Chanel? Mudpie: I guess you're probably right. I do have a professional reputation to uphold. Mommy: Yes, you do. And since I'm always telling everyone what a little angel you are we don't anyone thinking I'm a liar. 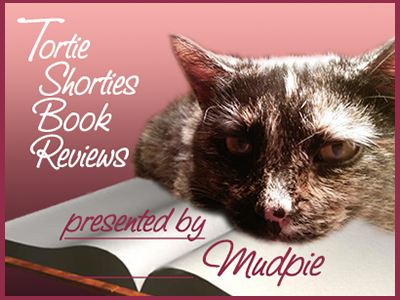 Mudpie: Oh, piffle. I'm so adorable any bad behavior would be instantly forgiven and forgotten. 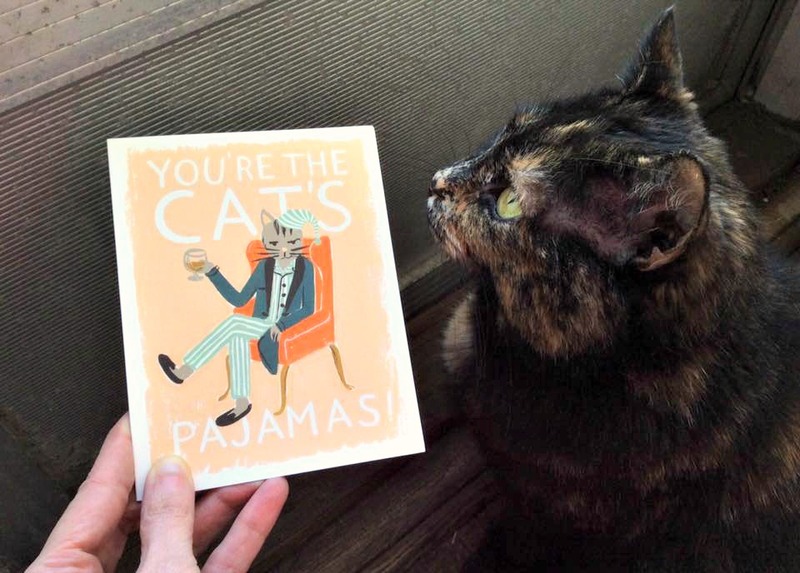 But let's get back to thanking our friends for the sweet card. We love you guys - we missed you too - and we can't wait to meet you all one day! Molly Brewster’s new café bookshop is the go-to spot for strong coffee, flaky pastries, and juicy gossip. But everything changes when the tide washes a dead body up on shore… practically on the shop’s doorstep. As a newcomer to the tight knit South Florida village, the local sheriff pegs Molly as the prime suspect. 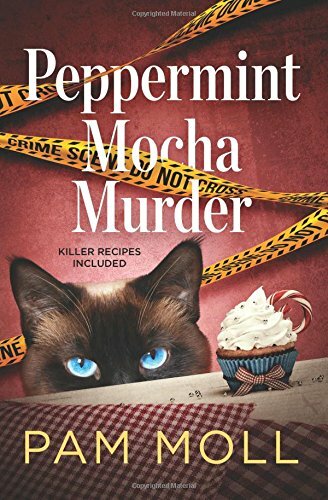 A combination cafe/bookshop, a Siamese cat on the cover, and a title containing my favorite coffee drink...geez, I wonder why I couldn't click on the "Buy" button fast enough when I saw this book? 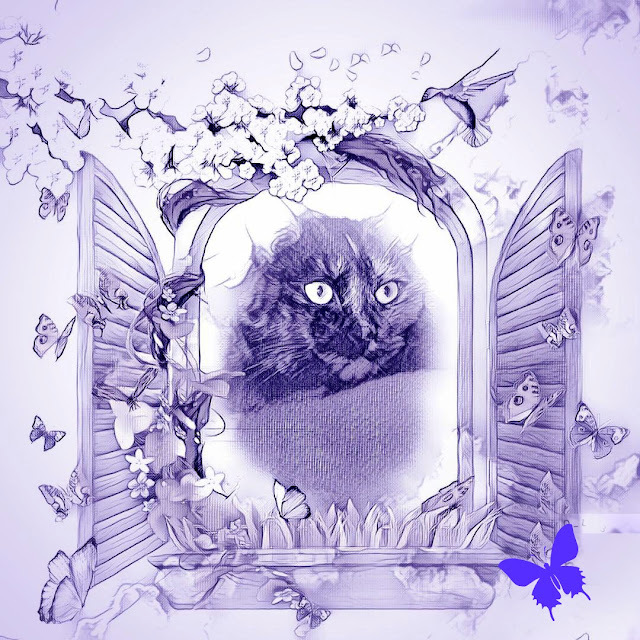 Unfortunately the gorgeous cat on the cover does not mean much kitty action in the book. In the opening scenes Molly feeds a stray Siamese outside her cafe, and because of his mocha colored fur, she names him Kona. I was hoping she would end up adopting Kona but that hasn't happened yet. 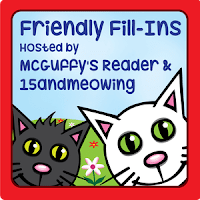 Molly's grandmother, mother, and an employee also have cats, but they don't play much of a role in the story either. In spite of this I still enjoyed the fun, light mystery, and completely missed the clues that led to the identity of the killer. One of my favorite characters is feisty 80 year old Granny Dee, who spends her evenings watching reruns of Murder, She Wrote, the Hallmark Channel, and reading Agatha Christie. 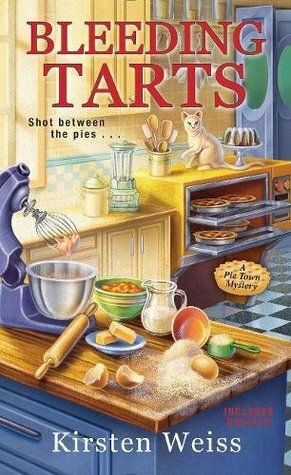 A fun cast of characters, a seaside setting, and lots of frothy deliciousness...just a few of the ingredients for the purrfect cozy! 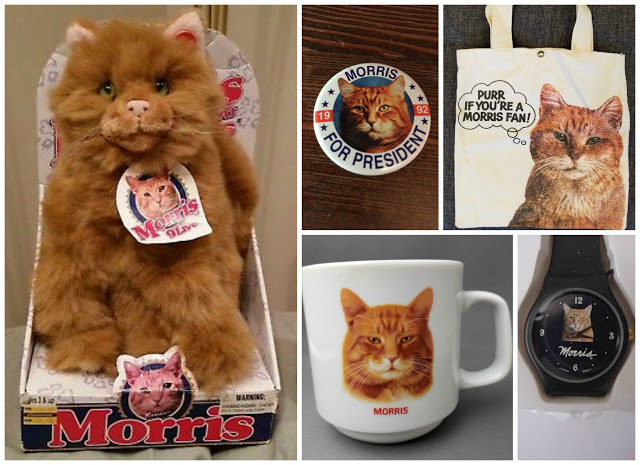 As a cat-obsessed little girl growing up in the 1980's, Morris the cat was one of my heroes. These were the days before celebrity cats took over the internet, and since Morris looked very much like Patch (my own cat at the time), who loved 9Lives® cat food, he was very special to me. 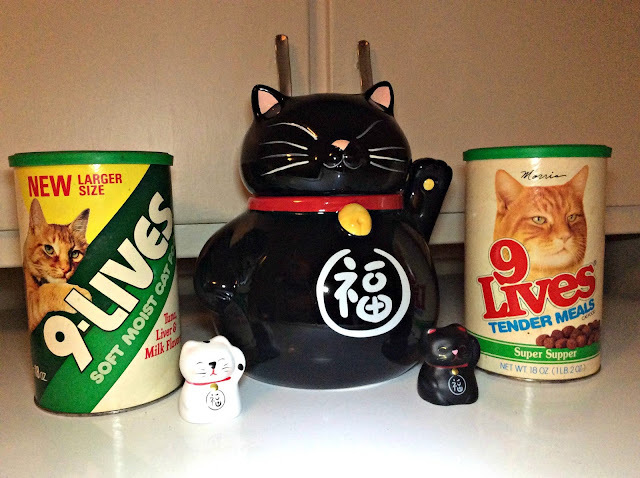 I still have my Morris plush toy, his Christmas ornaments are on my tree every single year, and while combing through the basement recently I found a pair of old 9Lives treat canisters with Morris's handsome face on them that my parents had stuck on a shelf to hold nails! (Every now and then I'm thankful that I come from a long line of pack rats!) I dumped the nails, cleaned out the canisters, and they now sit in my kitchen. It's something most people would have just thrown away, but I cherish them and love looking at them every single day. 1) The very first Morris (originally known as Lucky) was adopted in 1968 for only $5, a mere 20 minutes from being put to sleep, by professional animal handler Bob Martwick from the Hinsdale Humane Society, a Chicago-area animal shelter. That Morris died in July of 1978 at age 17 and was laid to rest near Mr. Martwick's home. His obituary appeared in newspapers worldwide. Since then, three different cats have gone on to play Morris, and in honor of the original all were rescued from shelters. Morris II, also discovered by Martwick somewhere in New England, retired after 15 years on the job and died in 1997. Morris III sadly only lived for a few years and was replaced by Morris IV, who currently lives with his trainer, Rose Ordile, in Los Angeles. 2) After making his debut in a mattress commercial, Martwick took the rescue cat to an audition for a 9Lives commercial in 1969. Morris was so charming that the art director exclaimed, "He's the Clark Gable of cats." "He jumped on the table ... and he walked right up to the art director, the big cheese, and bumped him in the head. And then Morris just sat back," Martwick said according to his 2001 obituary in the Los Angeles Times. 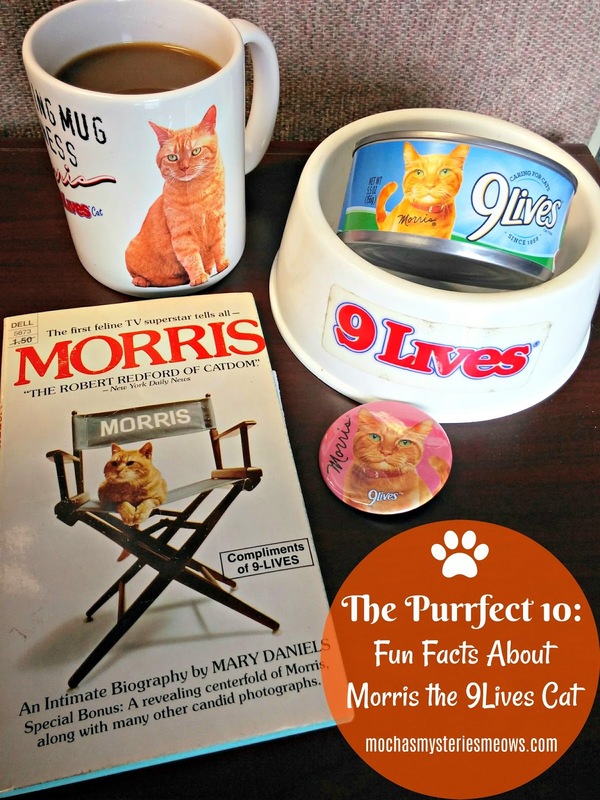 The ad campaign was an overnight success and Morris became the face of 9Lives, starring in 58 commercials. The very first Morris commercial, circa 1969! 3) Dubbed "the world's most finicky cat", Morris eats only 9Lives, and makes this preference clear with humorous voice-over comments by John Erwin when offered other brands. His fame became so great that he required a personal secretary to answer his fan mail and around-the-clock guards to protect him from kidnappers. His handsome face graced t-shirts, tote bags, coffee mugs and glass tumblers, plush toys, watches, buttons, calendars and Christmas ornaments. 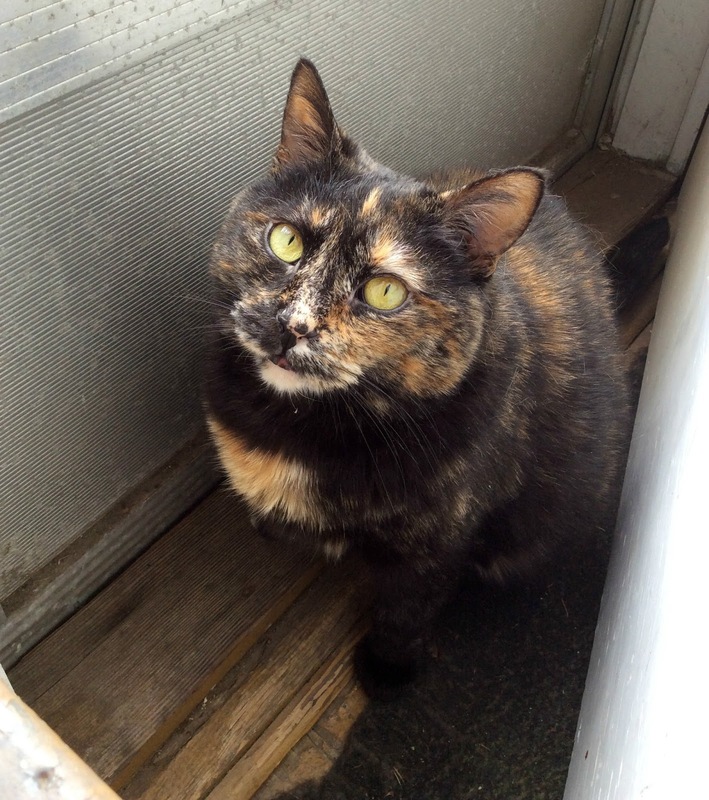 4) A cat with Morris's talent and charisma couldn't be limited to the small screen. In 1973 he landed roles in the Robert Altman film "The Long Goodbye" with Elliott Gould, and in the movie "Shamus" with Burt Reynolds and Dyan Cannon. 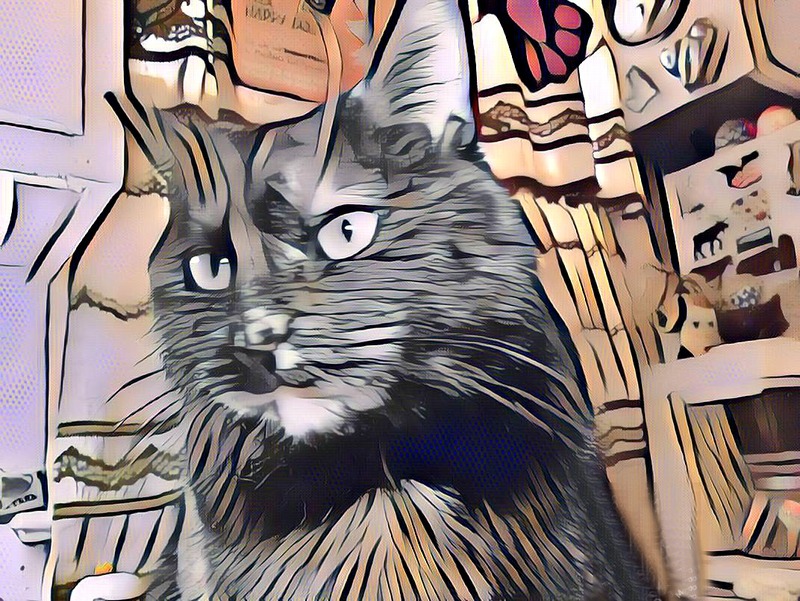 5) The next medium for Morris to conquer was print, and he went on to author 3 books on cat care: The Morris Approach, The Morris Method and The Morris Prescription, and was the subject of another, Morris: An Intimate Biography published in 1974. 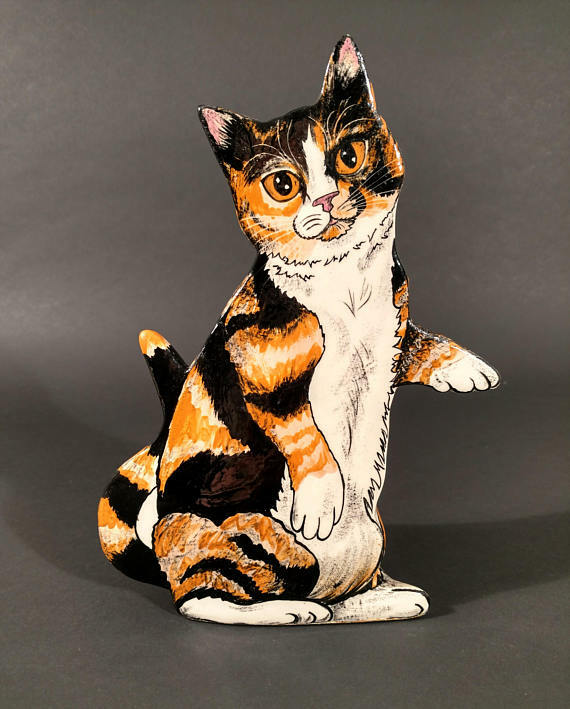 He also appeared on the cover of Cat Fancy's 30th Anniversary issue in 1995 and on the cover of the 1996 book Good Mousekeeping by Ilene Hochberg. 7) Morris ran in the 1988 and 1992 presidential elections on the Finicky Party platform, but lost both bids. He announced his candidacy once again in 2012, extending an offer to the well-known Mayor of Talkeenta, Alaska, Stubbs the Cat, to be his running mate. Morris pledged to give back to cats in need for the duration of their campaign, contributing one bowl of 9Lives cat food to Pets Are Wonderful Support, San Francisco (PAWS San Francisco) for every share of his campaign poster on Facebook. 8) In 2006 Morris led the 9Lives sponsored Morris' Million Cat Rescue adoption campaign, traveling the country in a specially outfitted bus with cats from local shelters on board to raise awareness and facilitate cat adoptions with a mission to find loving homes for one million cats. Morris kicked off the campaign by adopting Li'l Mo, a younger version of himself, from a Los Angeles shelter. 9) In 2015 Morris was included as one of the 10 brand mascots honored at “A Salute to Advertising’s Greatest Icons” at the Museum of Broadcast Communications in Chicago, alongside Ronald McDonald, Mr. Clean, Tony the Tiger, Charlie the Tuna, The Keebler Elves, The Jolly Green Giant, The Raid Bugs, The Pillsbury Doughboy, and Snap, Crackle, and Pop. 10) Today Morris is a cat with his paw set firmly in the 21st century, connecting with his legions of fans via social media on Facebook, Twitter, and Instagram. One of the many things I love about Morris is that in spite of his fame he has never forgotten his humble beginnings as a rescue cat, and he won't rest until every cat finds a forever home. 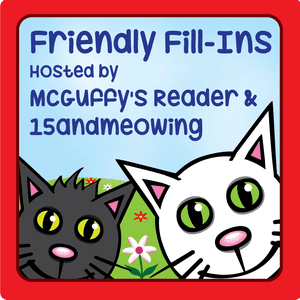 Now that spring is here kitten season is upon us, and animal shelters are full of hungry mouths to feed. My own local shelter recently transitioned to feeding the cats in their care a primarily wet food diet, so they're constantly in need of donations. 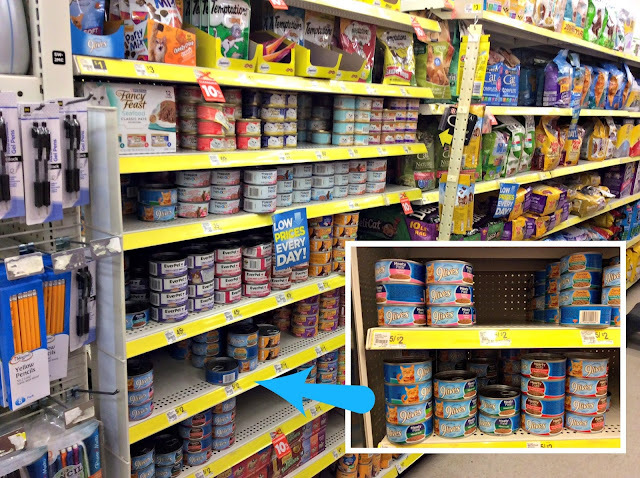 Since 9Lives is one of the resident cats' favorite meals, I added a bunch of cans (and several packages of treats) to my shopping cart at Dollar General last weekend. 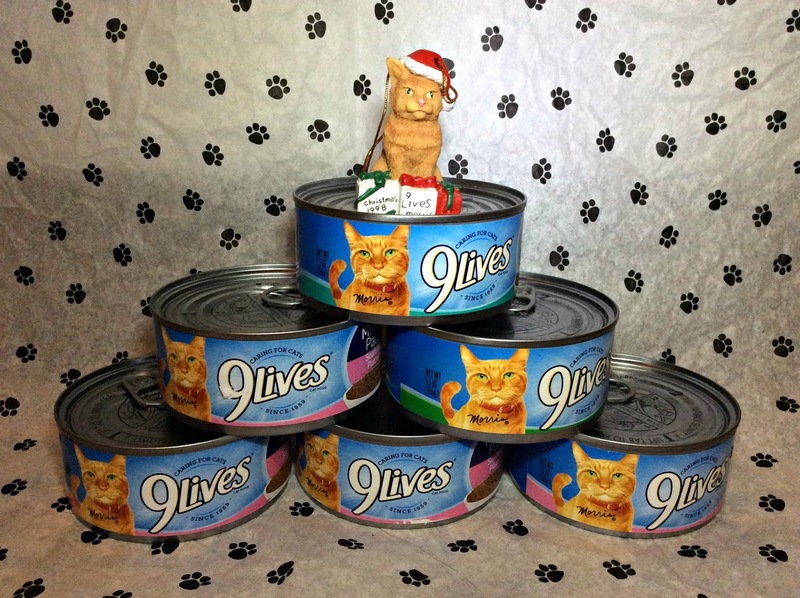 Knowing how finicky cats are I selected a variety of formulas to satisfy every feline palate - 9Lives offers both Hearty Cuts with big meaty chunks, cuts, and shreds in a rich, thick gravy, and Meaty Pate with smooth ground meat, fish or poultry. 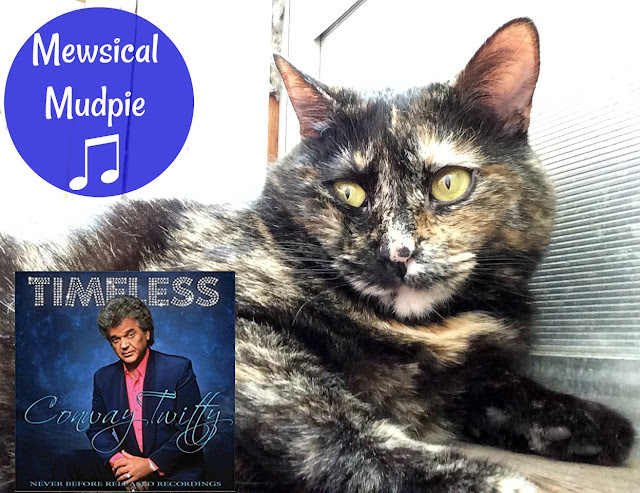 The cat you're helping to feed may not go on to be a worldwide superstar like Morris, but she will become the center of her adoptive family's world just like Mudpie became mine, and that's pretty incredible too! 1. New toys are the cat's meow! 2. I love to nap with Mommy on the couch. 3. When I was a child, I loved to play the game Candy Land. Can you believe Mother's Day is only 3 weeks away??? 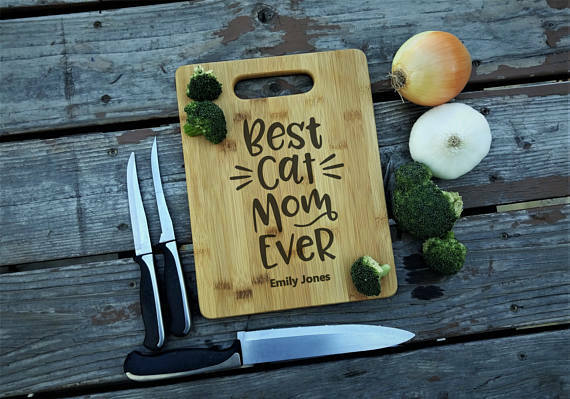 While browing Etsy for the purrfect gift for Mommy, I found several things that any cat mom would love to receive on her special day. Which is your favorite? I think everything here would be a hit with Mommy, but I just may go with the eyeglass case. Funny thing is, those animal print sunglasses look exactly like the ones she wears! I hope you enjoy my picks, and don't forget, if you find something here you like and make a purchase using our affiliate links, I get a little money for my piggy bank! I might even spend it on Mommy's gift! 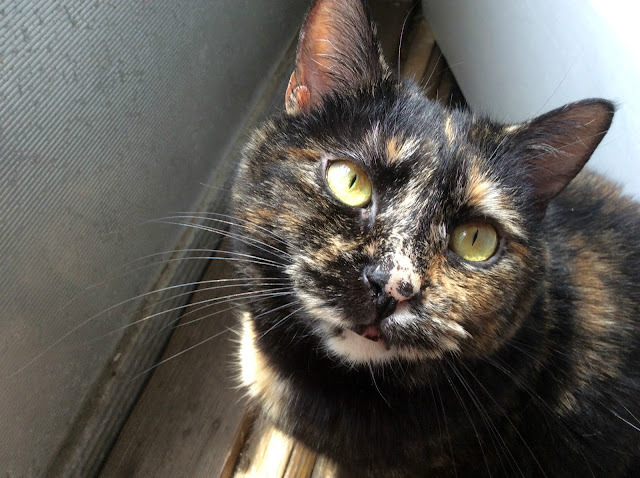 Meows from Mudpie, and happy National Banana Day! Since I'm a cat and therefore not a fan of the popular fruit, I wanted to use today to introduce you to my new friend, Bananya, and the back story of how she joined our little family. 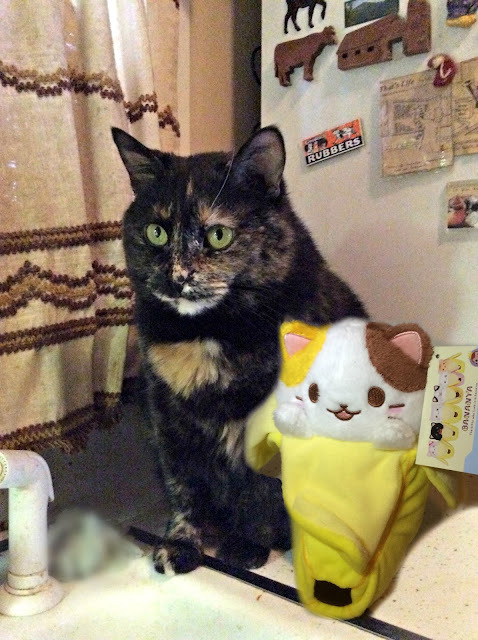 So she went to the bookstore one Saturday afternoon, had to ask where to find Bananya, only to find another lady walking off with the very last calico!!! She stalked followed the woman around the store for a bit just in case she put the cat down, but when she headed for the checkout Mommy had to give up. Luckily a week later the calico was listed online as back in stock at our store and she was able to reserve it in-store for pick up. 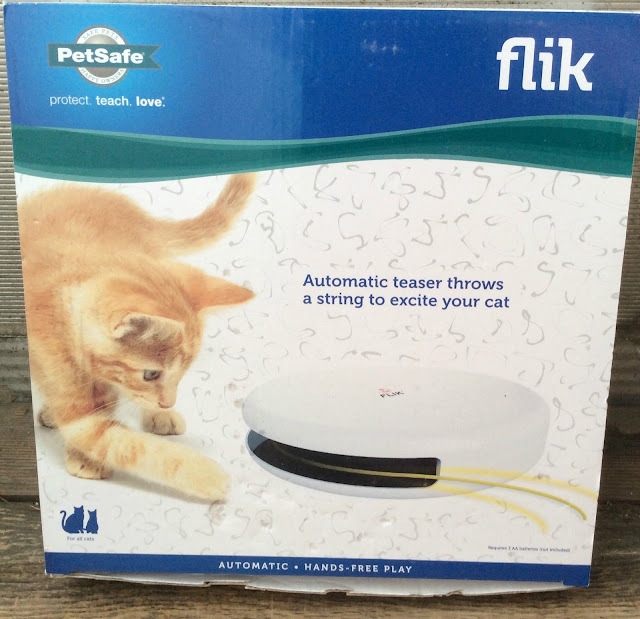 A few weeks ago I received an email from Chewy asking if I'd like to review PetSafe's FroliCat Flik interactive teaser toy. Is snow is white? I'm always available to try out new toys! Interactive toys like this have proven to be among of my faves so Mommy and I were super excited for it to arrive. As soon as Mommy pulled it out of the box I started batting the string around and got impatient that it took her too long to put the batteries in. Then she hit the ON button...and I just about freaked! We were both so disappointed but I was absolutely petrified of it, mostly because of the clunky noise it makes (we even looked on YouTube for videos of the toy, thinking ours wasn't working right!) As you can see in the video below I would actually flinch when the string popped out at me! So I put my big girl pants on, determined to give the Flik a fair shot, and once I got used to its movements and noises, I started to become entranced by it! I got a bit closer and just let it do its thing. It didn't take long before a funny thing happened - I became obsessed with the Flik! Now I sit in front of it whenever I want Mommy to turn it on (which is frequently), and sometimes I even pull on the string and stick my paw in the opening to see if I can turn it on myself! I'm so happy I didn't give up on my new toy and braved it out! Mommy wanted me to let everyone know that she never leaves me alone with this toy unsupervised. I love pulling and chewing on the string and while she doesn't think I could ever yank it loose, it's not worth the risk, so I only play with my Flik when we're together (which is fine because Mommy loves watching me have fun.) Safety first because a play session should never end at the emergency vet! The PetSafe FroliCat Flik interactive teaser toy is currently on sale at Chewy.com for $19.95. 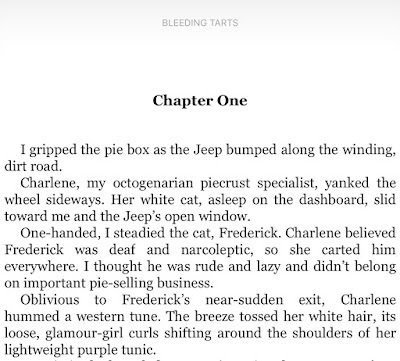 I'm a huge fan of everything related to the Old West and ghost towns (and of course, pie), so that's what drew me in, but it was the characters, particularly octogenarian Charlene and the cat who is constantly draped across her neck, that left me grinning from ear to ear with the turn of each page. That lady is a pistol and I can't wait to try her signature cocktail, root beer and Kahlua. The mystery itself is quite complex, even with a fairly limited cast of suspects, and I was kept guessing until the end. I hope we get to revisit the ghost town in subsequent books because it seems to be very authentic, complete with a saloon, gunslingers, and even a resident ghost. Frederick the cat does not sleep through the entire book - he actually does something quite heroic at one point - and frequently hisses when something displeases him. The recipes at the end are mouth-watering and written unlike any recipes I've ever read. They had me in stitches much like the rest of the book! 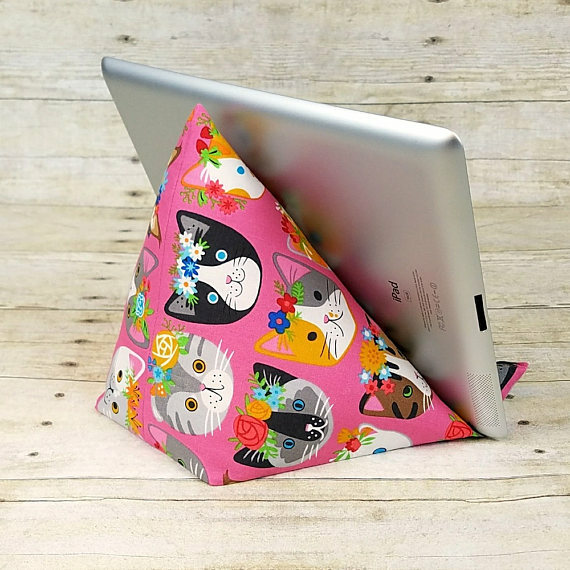 Some of my favorite things to feature on this blog are fabulous finds for cat ladies. 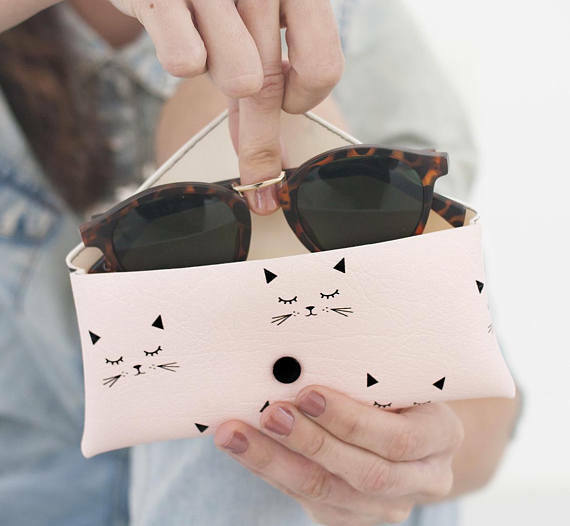 When it comes to cat-related items for my home, or clothing and jewelry to flaunt my cat lady pride, I admit that I just can't get my paws on enough. Earlier this year I received an email from Perrin Lam, the creative director of Cat Modern, introducing his contemporary designs to us as “an online oasis of artful, witty and intellectually astute jewelry designs for the discerning cat lover - and the people seeking gifts for them. 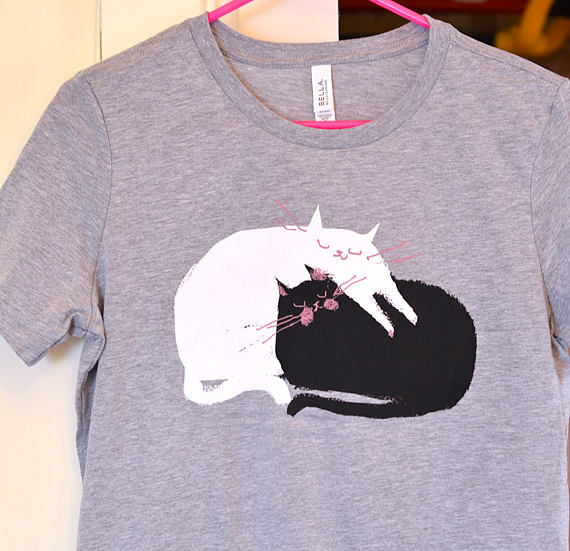 Cat-forward, meet fashion-forward.”. I was incredibly impressed by his necklaces, pendants and earrings but I couldn't help thinking that this jewelry wasn't really "me". You're unlikely to ever find me wearing anything other than jeans and t-shirt so these pieces felt a bit "out of my league". Then I realized that was just silly thinking. 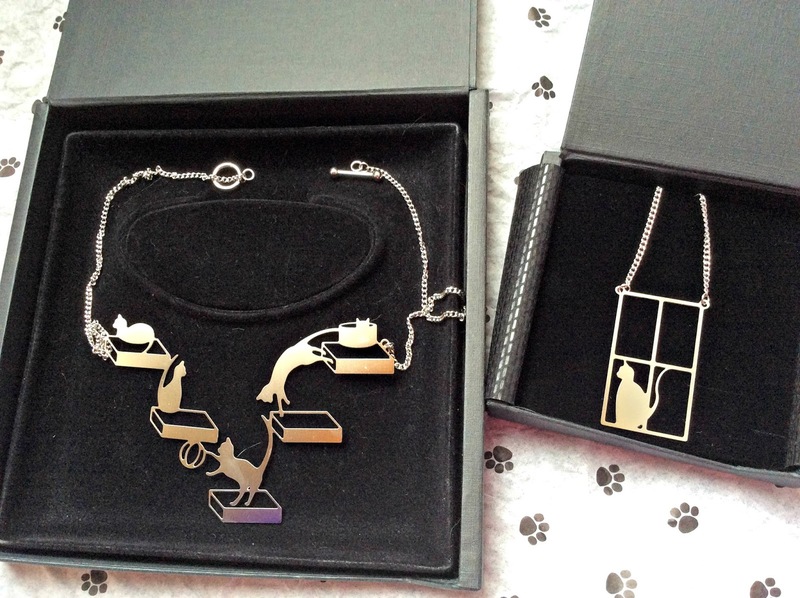 As a sophisticated, modern cat lady I can rock fine jewelry, no matter what I'm wearing! And the more I looked at the jewelry, the more I fell in love with it. I eagerly awaited the box containing samples of Cat Modern jewelry, which coincidentally arrived on Valentine's Day! My first impression is that this jewelry, with its intricate detail and ultra-modern shapes, is the epitome of "cat lady chic", a somewhat neglected niche in a world of mass-produced novelty items. Not that there's anything wrong with such jewelry - I wear them on a daily basis right alongside the personalized pieces that hold an extra special place in my heart. It's just that for some occasions you want to wear something a bit unique, something that makes a statement. And that's exactly what Cat Modern does. 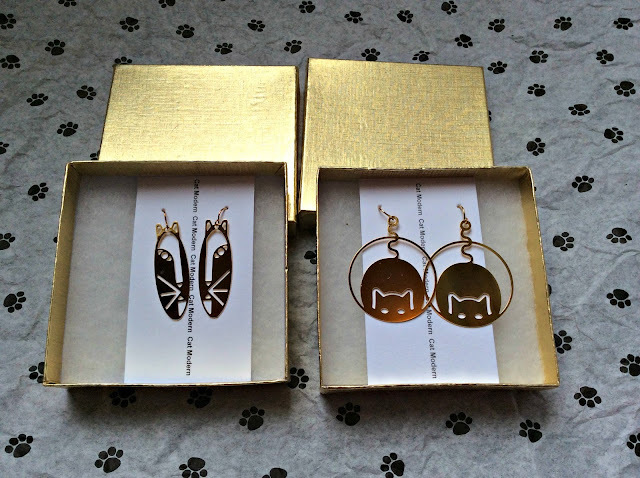 With Cat Modern jewelry, you’ll find all manner of contemporary cats behaving catly. You'll see the steadfast cat waiting at a doorway, the acrobat cat jumping from platform to platform, the pooped-out puss curled up in a kitty cup. Oh look, there’s a cat in the window, waiting for its owner and dinner. 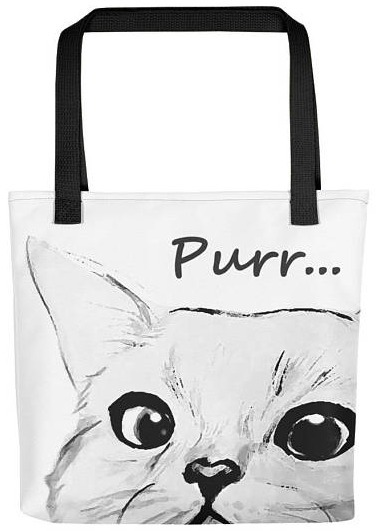 There are even cats in and out of bags, cats in one ear and out the other, and cats just being indescribably adorable. 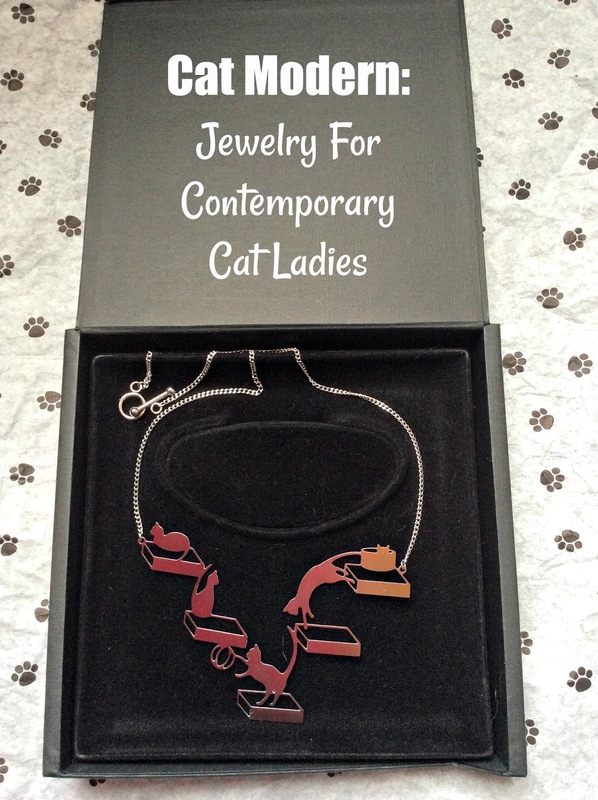 I think what makes this jewelry so special is that it depicts cats behaving in typical cat-like behavior which just brings a smile to your face, yet the look is timeless. Each piece is painstakingly photo-etched out of a surgical-grade stainless steel sheet, then electropolished or gold-plated by a small crew of Bay Area artisans. 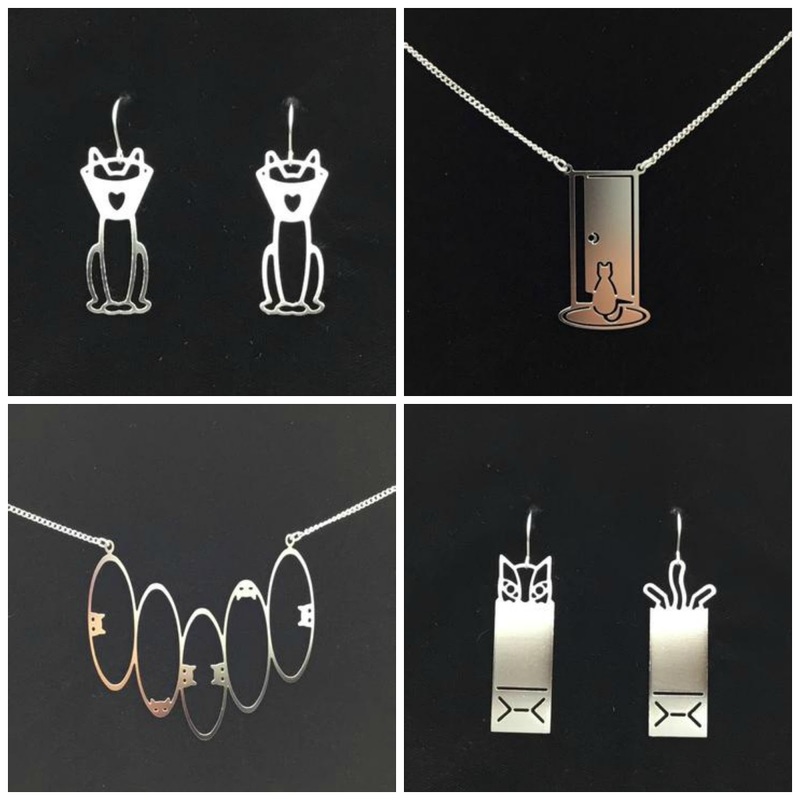 All pieces in the collection are available in stainless steel or gold plate, with earrings ranging from $50 to $70 and necklaces and pendants from $90 to $220. 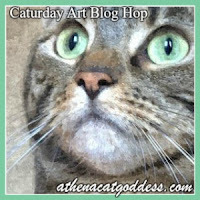 My favorite piece is the necklace at the top of this post, titled "Cat's Play" because it reminds me of Mudpie's adorable antics. The necklace itself is visually stunning, its size impressive, and it puts the finishing touch on anything I'm wearing. I'm so honored to have it as a part of my jewelry collection. 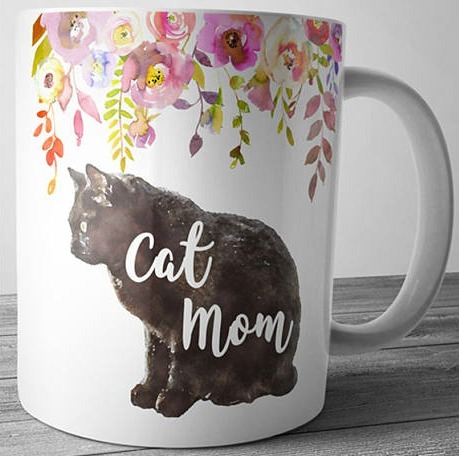 Mother's Day is one month from today and the cat mom (or cat-loving mom) in your life deserves something just as special and one of a kind as she is, wouldn't you agree? I can guarantee that these pieces are unlike anything else she has in her jewelry box! And for free shipping on your purchase at Cat Modern, enter coupon code "MOCHA" at checkout! This post is sponsored by Cat Modern. 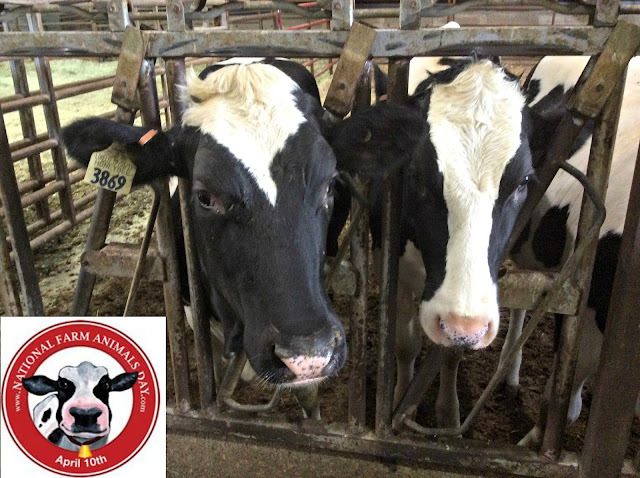 I am being compensated for featuring this content but we only share information we feel is relevant to our readers. Cat Modern is not responsible for the content of this article. I get so frustrated with Mommy sometimes. 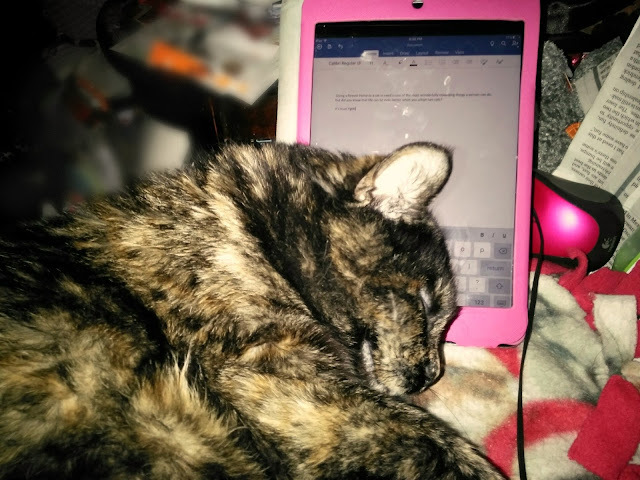 Even when the laptop is put away for the night she always has the ipawd open for jotting down any thoughts that come to her. A couple weeks ago I just wanted to cuddle on her lap but she just kept tap-tap-tapping away. So I laid my head up against the screen so she had to stop! Then a funny thing happened...I ended up typing something! Mommy took a picture of the screen to save my very first typewritten words for posterity. I'm not sure what I was trying to say. My spelling needs a little work. 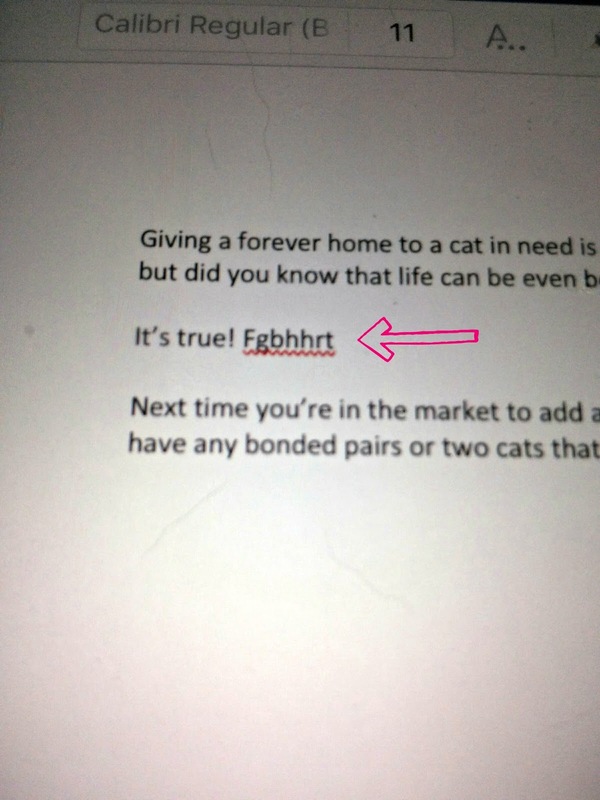 Good thing Mommy takes dictation for our blog posts!